Citation: Interplay of SNR with Diversity for Minimum Mean Squared Error Receiver. 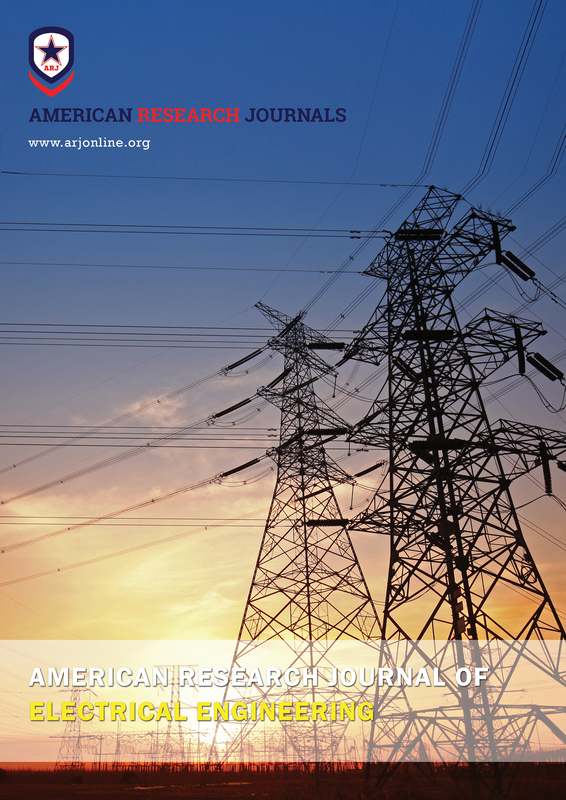 American Research Journal of Electrical Engineering; 1(1): 1-9. Poor performance in wireless channel arises due to the Deep Fade and probability of deep fade in the system is just the reciprocal of the SNR (1/SNR). Solution to this problem lies in use of diversity i.e. using more links. That could be achieved by the use of multiple transmit and receive antennas. At the receiver multiple received signals are available as a linear combination of individual signals. These are used at the input of detection in the form of Beam forming vector. Beam forming vector is a vector combination of the receive signals. Noise component at the receiver is a random quantity that depends on the Norm of the vector of the noise at each receive antenna. To maximize the SNR, we may choose appropriate Beam forming vector. The combiner that provides maximum SNR under such conditions is referred as Maximal Ratio Combiner. This is a scaled version of fading channel vector (spatial matched filter). Receiver diversity is successfully employed in WCDMA. HSDPA, LTE and WiMAX technologies. BER performance of the multiple antenna system follows the Chi square distribution. As receive antennas increase, the probability of deep fade and hence BER also decreases at a much faster pace. MIMO systems evolve in finding the minimum error vector amongst all possible transmit vectors. There are attempts to provide a solution that minimizes the least square error as implemented in Zero Forcing Receivers (ZFR). It uses pseudo inverse to arrive at the ZFR diversity orders in terms of number of receive and transmit antenna. On the other hand we analyze the Minimum Mean Squared Error (MMSE) receiver which calculates the mean square of the error following Bayesian approach which is different from earlier case of ZFR where we considered the deterministic error. In this paper we look in to the conditions as to how these two receivers operate and conditions under which these converge. Also what could be reason for the noise enhancement in ZFR and how MMSE improves on this drawback, has been discussed. The requirement of SNR for various channels and its shortfall has been analytically presented. Impact of diversity over the SNR requirement has been modeled and same was simulated to verify the SNR shortfall in case of various MIMO channels. Very high SNR is needed to achieve a high BER in case of any wireless channel as compared with the wired channel. Wireless channels thus have a challenge to overcome channel losses and cater to the mobility of transmitter and the receiver. Hence such a disparity had to be overcome to ensure survival of wireless technology. Fading is a common problem and condition of deep fade is always a concern. To overcome it, diversity was employed by setting multiple transmit and receive antennas. Deep fade can be addressed using special receivers. Zero Forcing Receivers (ZFR) and Minimum Mean Squared Error (MMSE) receivers are two important concepts that overcome the error due to deep fade either in deterministic manner or by the use of mean square of the error. A survey on enhancing the LTE limits was undertaken in . Employment of TD-SCDMA protocol was explored in . Kun Wang et el  has discussed the problem of compact arrays whose inter-element distance is smaller than half of the operative wavelength. These cases are very peculiar in a way that decoupling of channels becomes a challenge for obtaining higher performance. In simulated results  it is shown that Zero Forcing Equalizer removes Inter Symbol Interference and is best suited for noiseless conditions of a channel. In case of noisy channels, such receivers tend to enhance the noise for frequencies where channel response is low. MIMO aims to increase transfer rates using Spatial Multiplexing . MIMO system is represented as one having multiple transmit (say‘t’) and receive (say ‘r’) antennas. MIMO linear receiver can be defined as y = Hx +n where x1 ,x2 ,… xt are the transmitted symbols, n is the channel noise and received symbols can be represented as y1 ,y2 ,… yr etc. The symbols represent the fading coefficient between transmit antenna and receiveantenna. If we take the inverse on two sides then: . H-1 y=x+ H-1 n. Inverse will exist only in case of square matrix (r= t) number of transmit antennas equals number of receive antennas and matrix should have full rank). Among all possible vectors we choose ‘’ in such a way that error vector i.e. is minimized. So we can get approximate solution for the least possible squared error. Norm square of the vector can be mathematically written as vector transpose multiplied by the vector. Estimate of x in case of number of transmit antenna is more that the receive antenna which is represented as Zero Forcing Receiver. Receivers based on the above the equation (3) is called a Zero Forcing Receiver (ZFR). ZFR has a problem that it tends to amplify the noise in case of low values of ‘h’ and hence Minimum Mean Squared Error receiver is preferred. in case of MIMO c̅ is a matrix. This can be generalized for the complex space. In case and being vectors similar relation holds. Multiple transmitters and receivers further complicate the accounting of delays observed in various scattered and direct paths. Various rays Delay could be attributed to the time difference between the scattered paths and direct path. On an average for a cell of 2 Km radius it could be assumed that difference in the path length could be of the order of ≈ Km. Considering a mobile at the edge of a cell (i.e. at a distance of approximately 2 Km from the Base station. Hence direct path can be assumed to be 2 Km and indirect paths could be longer say 3 Km, 4 Km or on similar lines. Hence delays can be computed as τ0 = 2Km/c, 1 =3Km/c, 2 =4Km/c…etc where ‘c’ is speed of light. We may assume that delay spread to be of the order of 1Km/3 x 108 ≈3.33 μS. We see the delay spread in 3G/4G systems is of the order of 1-3 μS. SVD thus helps in decoupling the interference based system in to independent channels. Spectrum efficiency and Energy efficiency relationship was discussed in , It was reported that Energy Efficiency has exponential dependence over the linear variations in System Efficiency. Hence MIMO may not be energy efficient as linear increase in Spectrum Efficiency causes an exponential decrease of Energy Efficiency. Capacity of the OFDM system was critically anslysed in  and . To understand what rate the channel of transmission can support we may analyze the SNR requirements of channel. To ensure maximum throughput, we need to maximize C, when maximum power at transmitter (P) is divided among ‘i’ channels. The aim is to allocate transmitter power in such a way that throughput is maximum hence is the limiting factor. Diversity is the key factor to guarantee outperformance of combination of OFDM and MIMO over traditional OFDM system that may use one antenna for transmit and receive . power is to be added to a particular MIMO channel. And so on. For all the channels that have the power allocation level < 1⁄λ, here will be a need to add power to equalize the shortfall. This is popularly known as Water filling algorithm. If all channels have non zero positive power then the requirement is met and it will be optimal for that set of MIMO channels having non zero singular values. Theoretical plot of AWGN and Rayleigh channel (Fig.-3) indicates the Rayleigh channel performance as compared with usual AWGN channel. Rayleigh channel experiences sharp fading as compared with the AWG channel. At a BER of Eb/No sharply declines approximately to 11 dB whereas in case of AWGN channel fading is moderate and Eb/No value remains a modest 30 dB. SISO case follows the Rayleigh fading channel conditions. The point that emerges is the need to address the steep fall in SNR for MIMO channels by the use of diversity. SNR performance related to various diversity combinations have been modeled in the Matlab simulation. Large numbers of frames (=100000) were analysed among 256 carriers. Data symbol of 192 bit size was considered. Various transmit and receive antenna combinations have been simulated to arrive at the situation where bit energy has been compared with bit error. Theoretical results are presented in Fig. 4. Diversity combinations were simulated and results are shown in Fig.5. Clear advantage of diversity achieved using combination of Two Transmit- One Receive antennas (Tx2Rx1), Two Transmit- Two Receive antennas (Tx2Rx2) and Two TransmitThree Receive antennas (Tx2Rx3) have been indicated. There is a clear outperformance of diversity over SISO (One Transmit- One Receive antenna: Tx1Rx1). Fig. 6 has represented the SNR advantage of the combination in bar chart. The simulaton has produced the chart similar to as expected in the theoretical domain (Fig. 2) indicating the shortfall in the SNR with change in diversity. The maximum value that is desirable equals 1⁄λ. This paper has brought out a clear influence of diversity with SNR of received symbols in case of MIMO. The shortfall of SNR as the diversity changes also confirms theoretical relation (9). 1. Stefan Schwarz, Josep Colom Ikuno, Michal ˇSimko, Martin Taranetz, Qi Wang, and Markus Rupp “Pushing the Limits of LTE: A Survey on Research Enhancing the Standard” Accepted for publication in IEEE in 2013. 2. Guangyi Liu, Jianhua Zhang, Ping Zhang, Ying Wang, Xiantao Liu, and Shuang Li, “Evolution Map from TDSCDMA to FuTURE B3G TDD”, IEEE Communications Magazine, March 2006. 3. Mehmet Mert Taygur, Kun Wang, Thomas F. Eibert,“Ray tracing based channel analysis involving compact MIMO antenna arrays with decoupling networks”in WSA Mar 09-11, 2016. 4. N. Sathish Kumar and K. R. Shankar Kumar, “Performance analysis and comparison of m x n zero forcing and MMSE equalizer based receiver for mimo wireless channel”, Songklanakarin J. Sci. Technol. 33 (3), 335-340, May - Jun. 2011. 5. Pitarokoilis, Mohammed, E.G. Larsson, “Uplink Performance of Time-Reversal MRC in Massive MIMO Systems subject to Phase Noise”,IEEE Transactions on Wireless Communications, vol.14, pp. 711-723, 2015. 6. O. Edfors, M. Sandell, JJ van de Beek, S. Kate Wilson, “OFDM Channel Estimation by Singular Value Decomposition”, Vehicular Technology Conference, 1996, IEEE 46th, Volume:2 7. 7. J. Zhang, M. Kountouris, J. G. Andrews, R.W. Heath Jr.,”Multi-mode transmission for the MIMO broadcast channel with imperfect channel state information,” IEEE Trans. Communications, vol. 59, pp. 803-814, Mar. 2011. 8. T.J. Willink, “Efficinet adaptive SVD algorithm for MIMO applications”, IEEE Trans. on Signal Processing, vol. 56, pp. 615-622, Feb. 2008. 9. Z. Xu, S. Han, Z. Pan, C. Yi, “EE-SE relationship for large-scale antenna systems”, in Proceedings IEEE International Conference Communications Workshops (ICC), Sydney, 2014. 10. H. Bolcskei, G. Gesbert, and A. J. Paulraj “On the Capacity of OFDM-based Spatial Multiplexing Systems”, IEEE Trans. on Comm. Vol. 50, No. 2, pp. 225-234, February 2004. 11. Vijay Tiwari, “Frequency Selective Distortion in Case of Mimo Transmission”, American Research Journal of Computer Science and Information Technology Volume 2, Issuse 1, 9 pages, (ISSN: 2572-2921).